Superb cricket scorefascia for installation into existing or new building. This fascia is identical to a junior extended scorebox face. 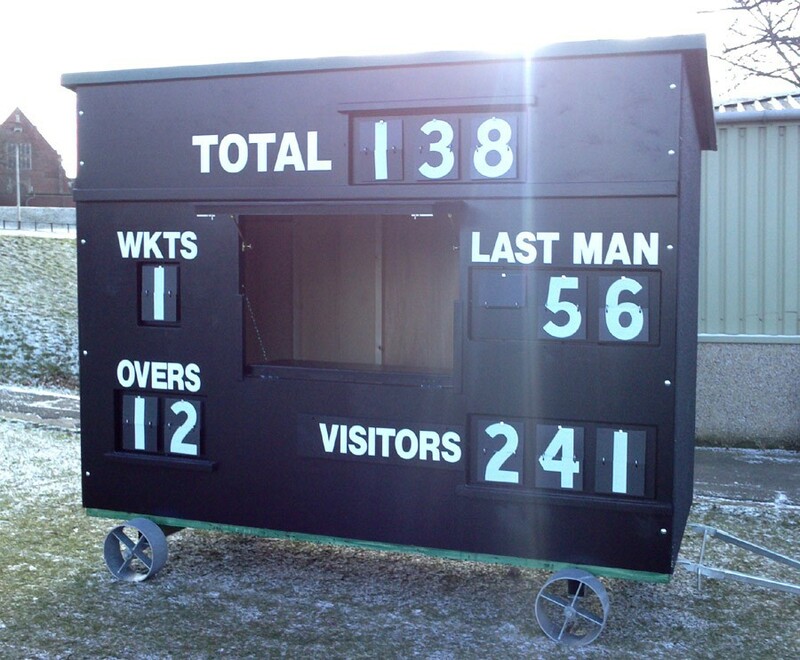 The timber scoreboard is painted matt black and comes with all telegraph numbers and white cast vinyl lettering. All the numbers are fitted to swivel boards so that they can be operated from inside the building. There is a two-scorer hatch, which splits and opens outwards to form an awning and inwards to provide a scorers' desk. Information shown consists of total, wkts, overs, last man and home/visitors. Comes with timber security shutters to cover the numbers when not in use. Illustration shows the scorefascia installed into a standard junior extended scorebox.